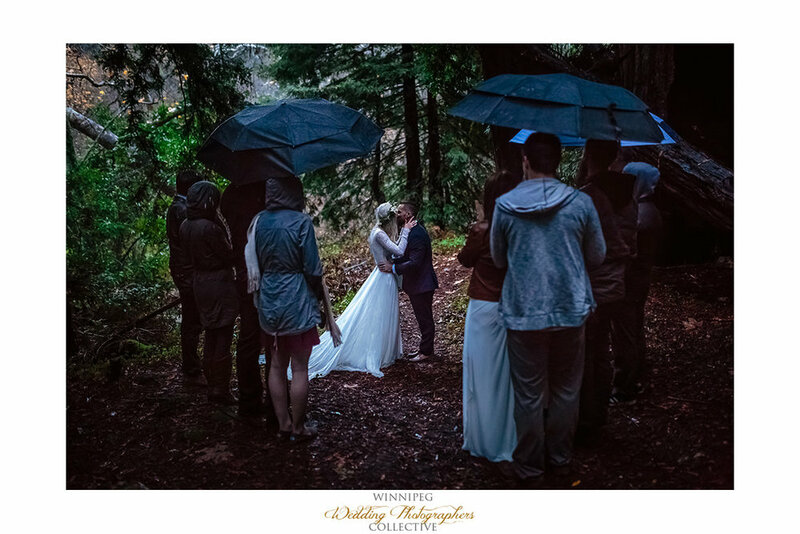 When Patrick, Vanessa and I originally started discussions about their wedding, we envisioned a very snowy and cold wedding day. Their plans for a winter wedding here in Winnipeg sounded wonderful. However, some time into their planning phase they realized that although they were planning a beautiful wedding, it wasn’t THEIR wedding. After what I assume was some difficult decision making they switched gears and decided on an elopement on a beach in Big Sur, California. My mind very quickly started seeing a warm sun shining down on a beach wedding. But my mental picture of what their wedding would be like was still far from reality. Vanessa and Patrick were hit with wind warnings, rainfall advisories and flash flood watches. 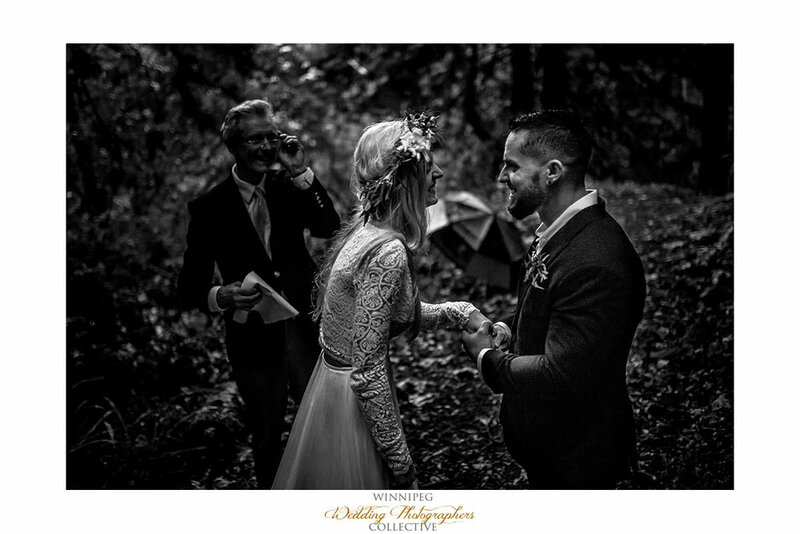 It was the perfect storm……and yet it was the perfect wedding. 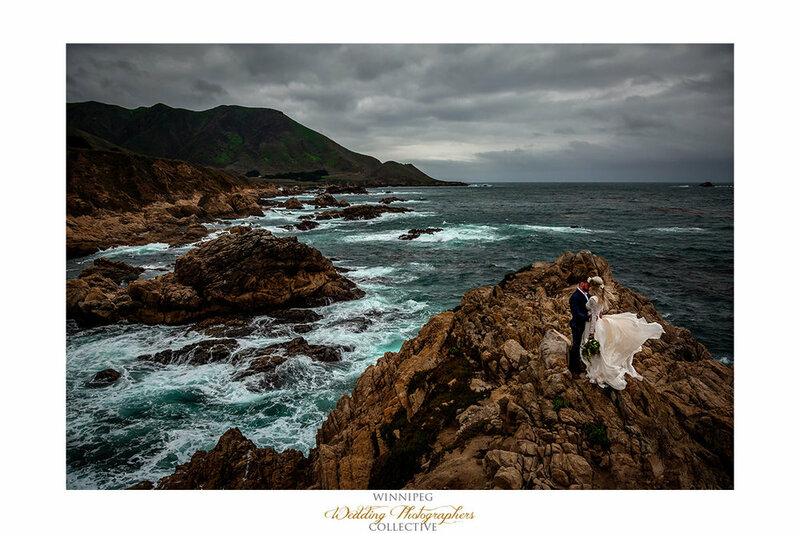 The wind provided epic vistas of choppy ocean as a backdrop for photos. The umbrellas that had been bent and twisted from the weather ensured people were laughing and soaked to the bone. And when the time felt right, we all parked on the side of the road and started walking into the redwoods. 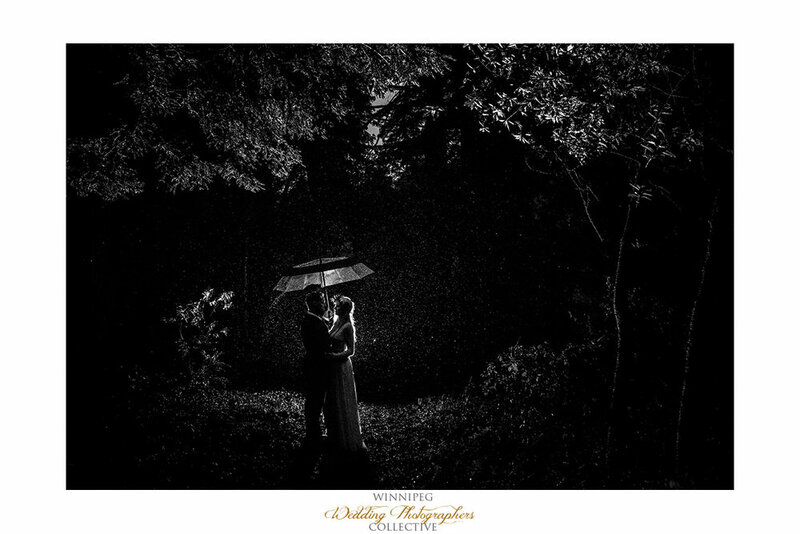 The rain started to slow, and when Patrick and Vanessa felt like they had found a suitable spot, people huddled around each other, and a super intimate wedding ceremony took place as the day turned to night.